Congratulations to John Novello the lucky winner of our previous contest! Welcome to the Phone Skope – Rocky Mountain Athlete Contest. 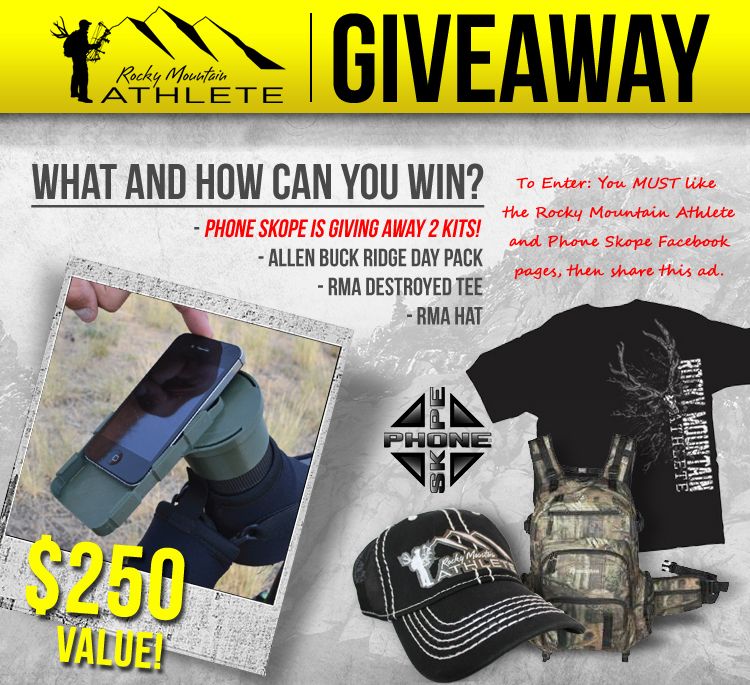 Please enter below by first liking both Phone Skope and Rocky Mountain Athlete, if you haven’t already. In the next step please fill in your name, phone number and email in the boxes provided, then click the “Enter Contest” button. One last step to be sure you are entered, you must share this contest on your Facebook page by clicking the link provided. That’s it! Good Luck! The last step is to enter you email (if you liked on Facebook, make sure it's the email associated with your Facebook account), name and phone number so we can contact you if you have won. Would you like to join Phone Skope's email list? Note: Contest begins: 12/23/13 – You may only enter one time per day per contest. Facebook, nor any other company, besides Phone Skope, are affiliated with this contest.